Sunday – Thursday, 11 a.m. 'til 11 p.m.
Not long ago the world was full of remote, unexplored tropical places, of which little was known. Tales of mysterious tribes, monolithic idols and steamy jungles were hatched and the thirst for entering that world had begun. 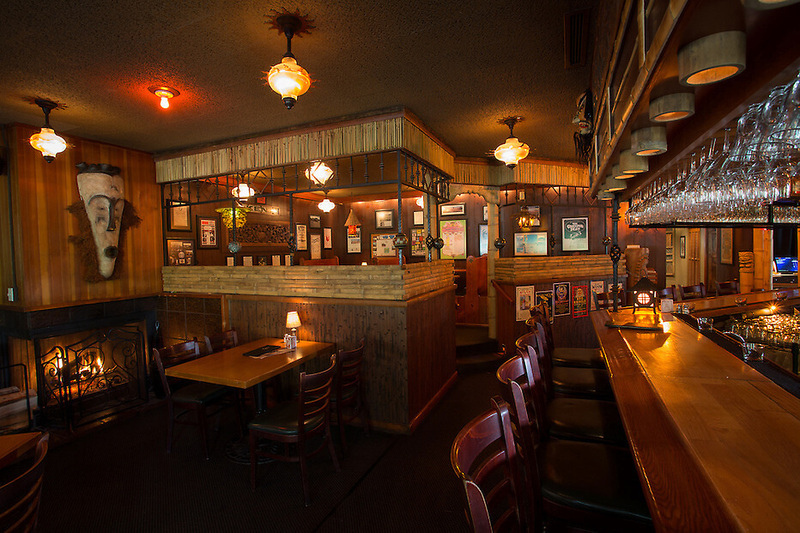 From Don "The Beachcomber" to "Trader" Vic Bergeron, the world of the exotic (with the help of G.I.s returning from the Pacific) made its way into the American conscious, and these bars provided escapism. Though that time may have passed, we believe there is still mystery in the world. Kapu refers to the ancient Hawaiian code of conduct of laws and regulations. 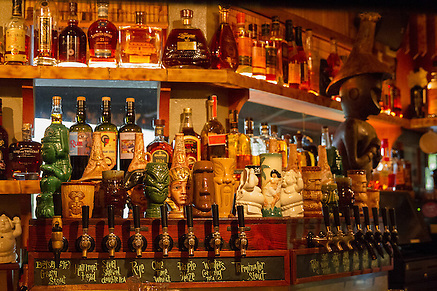 The actual Hawaiian word "kapu" means "forbidden." 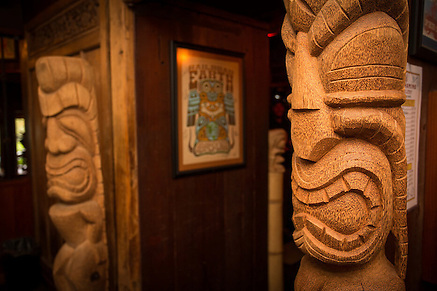 We welcome you into our "forbidden" bamboo hut bar to enjoy spirits–including more than 60 rums–from tropical locales, while spirits in the form of tiki idols and masks from Papua New Guinea and Africa greet you. 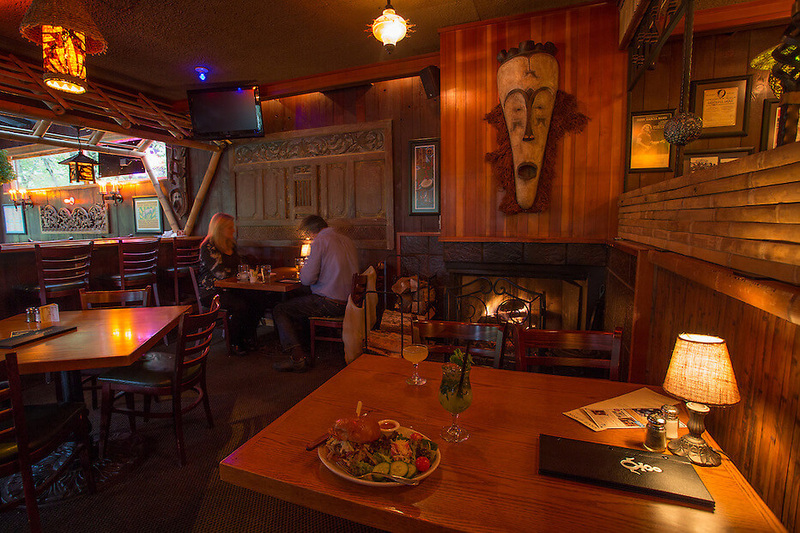 Take caution though, brave traveler, the spirits of the tropics can lead you many places and enlightenment may be found, but there are some roads better left untraveled—unless you’re looking for unique bars in Eugene!